Whistle Pigs (5.11a/b) is a classic, single-pitch (90-foot) sport route that Toby Stegman and Wesley Gooch established at Rock Springs Buttress in Jackson, Wyoming. The route lies on the far right end of buttress, down the hill a little ways from the giant chockstone of Swordfish Lipstick and Birthday Suit. It’s the last section of gold rock before the cliff becomes broken and split by gullies. Look for a line of bolts and a small placard. 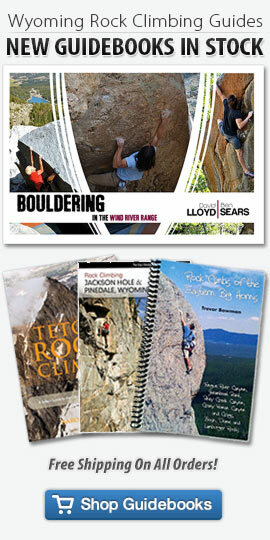 Checkout the Jackson Climbing Guide for more routes at Rock Springs Buttress. All men dream, but not equally. Those who dream by night, in the dusty recesses of their minds, awake in the day to find that it was vanity. But the dreamers of the day are dangerous men, for they may act their dreams with open eyes to make it reality.